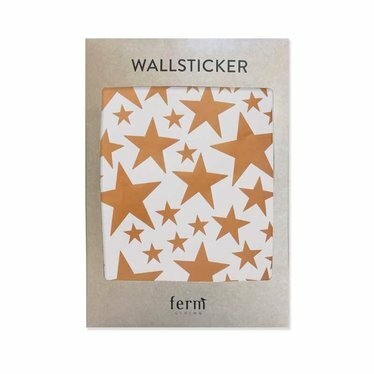 Copper-coloured wall stickers Stars in mini-size for creative star decorations on the wall. An A4 sheet with 49 ministers that you can stick on the wall. The sheet has different sizes, varying from 2 to 7 cm. Perfect to give a festive accent to a piece of wall, for example in the hall, children's room, or even the toilet! Ferm Living tips these copper wall stickers for Christmas, but they are also beautiful for the rest of the year.